Welcome to For the Love Of Dogs - Shopping for a Cause! For those who love holiday design, but with a touch of whimsy- this one will make you smile. Bold and delightful, this amazing pillow makes a holiday design statement! Measuring 14 x 22" rectangle, this generously sized pillow is handcrafted of 100% wool and backed in velveteen, with removable zip off cover. Designers everywhere are using vintage truck and car images to honor that classic era. This gorgeous pattern features charming green woodie wagon, piled high against the landscape with Christmas gifts for all. A classic design that will delight our homes for the holiday for years to come. If you ever traveled in wagon style, you won't be able to resist this favorite! This is an exclusive design just for us at For the Love of Dogs. Back Of The Truck Christmas Tree Black Labrador Retriever Dog Wool Hooked Dog Throw Pillow - 16" x 16"
Christmas Black Labrador Retriever Dog Bicycle Hooked Wool Pillow by Designer Mary Lake Thompson - 16" x 20"
Christmas Tree Vintage Truck Mini Hooked Wool Pillow - 8" x 12"
Peking Handicraft Fall Truck with Wreath Hook Pillow, 16" X 16"
Questions or comments? Send us an email! 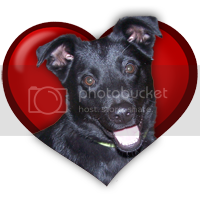 Visit For the Love of Dogs, llc's profile on Pinterest.